How Much Turmeric Can You Safely Take Daily For Optimal Results? Spices have been used throughout history for their medicinal purposes due to their healing properties. Although there are many different spices that provide different kinds of benefits, turmeric tends to be the go-to spice as more and more evidence shows its ability to heal a wide variety of ailments. Although the use of turmeric has become so popular, there are still many things that you probably do not know about it. Below we will be listing absolutely everything you need to know about this amazing spice and how you can benefit from using it. Turmeric is a spice that comes from the root of Curcuma longa, a tropical plant that is native to India. Turmeric has been used as a traditional medicine in South Asia for many years. A part of the plant called the rhizome was most commonly used. It was prepared in a variety of ways and was commonly used to treat asthma and coughs. Hot water extracts were taken orally to reduce inflammation. Turmeric was also used to treat conditions such as liver obstruction, jaundice and ulcers. Aside from being a medicine, turmeric was also used for culture and spiritual purposes. Turmeric was associated with fertility and prosperity and was often applied to a bride as a good luck ritual before the wedding ceremony. Turmeric roots may have also been given as gifts on special occasions, such as when visiting a pregnant woman. Many websites use the words “turmeric” and “curcumin” in a way that makes it seem like they are one in the same, making it difficult to specify precisely what each of these words actually mean. Turmeric is the spice that is derived from the root of the plant Curcuma longa. Turmeric, like all plants, have phytonutrients, and one of its most beneficial and popular substances found in turmeric is called curcumin. Curcumin is responsible for many of the health benefits granted by turmeric, including its ability to reduce inflammation, its assistance in relieving symptoms of arthritis and its protection against skin diseases, and possibly even Alzheimer’s. Although many people use the words turmeric and curcumin interchangeably, it is important to note that curcumin is just one substance among many others in turmeric that make it such a beneficial spice. It’s pretty obvious that curcumin provides numerous health benefits that can help treat symptoms caused by a variety of disorders. The fact that it can be found in turmeric makes it even more beneficial due to its nutritious properties. Turmeric is a good source of vitamin C and vitamin B6 and is also abundant in magnesium, dietary fibre, potassium and manganese. Now that you have a basic overview of the history and nutritional information about turmeric, let’s look at the health disorders that turmeric can treat. Find out more ways how you can add turmeric into your diet. According to a study conducted by the Indian Academy of Neurology, curcumin seemed to be a promising treatment for Alzheimer’s disease. However, curcumin alone may not be the only reason turmeric can be useful for treating Alzheimer’s. A study found that a compound in turmeric called aromatic-turmerone can increase the amount of neural stem cells of the person consuming it, which makes it useful for treating neurodegenerative diseases such as Alzheimer’s. Turmeric’s anti-inflammatory properties come into play when it comes to relieving symptoms of arthritis. The curcumin found in turmeric blocks inflammatory cytokines and enzymes, which may explain why it helps prevent joint inflammation in arthritis. Studies found that patients with osteoarthritis have improvement in pain reduction and movement after taking a turmeric supplement called Meriva. Turmeric has been shown to be fairly effective at killing cancerous tumor cells. According to a study conducted by the American Association of Pharmaceutical Scientists, curcumin inhibits the growth of tumors by killing tumor cells through a variety of steps. It is also an extremely effective chemotherapy alternative due to the fact that it does not damage normal cells like chemotherapy does, it targets only the cancerous cells. Turmeric is a natural and effective anti-depressant. According to a study conducted by the Indian Journal of Pharmaceutical Sciences, curcumin was effective in reducing depressive symptoms caused by chronic stress. They found that this was due to the fact that curcumin naturally restored levels of serotonin and dopamine. Unfortunately curcumin, the most beneficial compound in turmeric, is not very “bioavailable”, meaning it is hard for our bodies to digest it. This is because our bodies metabolize curcumin so quickly that our digestive system can’t get the full benefits from it. This is why you should always consume turmeric with black pepper. Piperine, a compound found in black pepper, makes our bodies more efficient at digesting nutrients and also slows down the digestive properties. Read how much black pepper to add to your turmeric to supercharge its healing power by up to 2000%. This works perfectly as it gives your body enough time to digest the curcumin and also makes your body more efficient at digesting it, ensuring you get the full benefits from your turmeric. How Much Turmeric To Take Daily For Optimal Results? 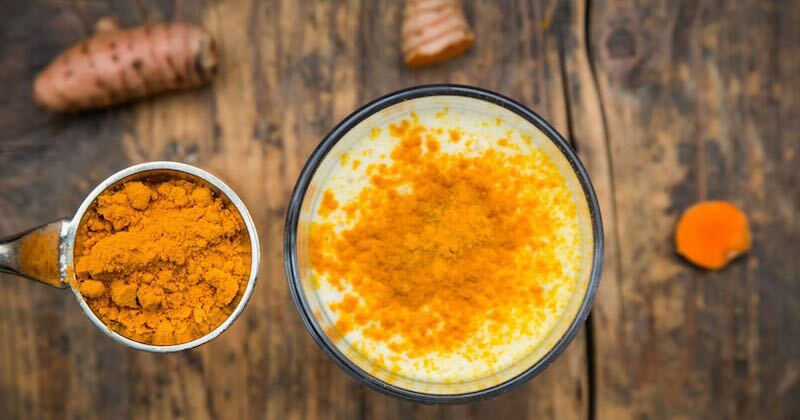 There is a lot of confusion surrounding how much turmeric a person should take on a daily basis to optimally benefit from all of this root’s healing properties. Most of this stems from the variety of different ways it can be taken. The University of Maryland Medical Center recommends these dosages. First of all, i want to thank you for this great article, very helpful knownledge. i personally a fan of juice. have something on my mind. If i put turmeric into some juice ingredient, would it taste weird? Thank you, and sorry for my terrible writting. How do you measure 3g ?